At VOH, our focus is on the filmmaker and his or her talents as an artist, but it can be even more revealing when we glean a moment of truth in a filmmaker’s passion. 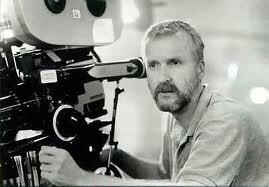 This morning, I paused and admired visionary filmmaker James Cameron and his obsessions anew. Cameron is the talented and driven filmmaker behind some of the biggest films of the last few decades – The Terminator, Terminator 2: Judgment Day, Aliens, The Abyss, Avatar and of course, Titanic (I’ll even forgive the upcoming re-release of Titanic in 3D). He is an Academy Award winner… several times over if you count those awards connected to his technical wizardry. And he is also the inventor of state-of-the-art cameras and equipment, as well as the holder of numerous patents, developed specifically to bring his progressive visions to the multiplex. Much has been made of Cameron’s obsession with the deep sea, as well as his explorations of the Titanic. His journeys have even been captured through several fantastic documentaries. And while it might have seemed to us like a very expensive and dangerous hobby at first, Cameron has proven his mettle as a true deep sea explorer. A true artist would be hard pressed to separate his or her obsessions from artistic expression. James Cameron’s obsessions with the deep sea have most certainly been realized several times over – literally in his explorations and figuratively in his films. I have always appreciated Cameron’s films, but today, I truly appreciated Cameron and his obsession with the deep.